CicLAvias have become one of my favorite LA events. I’ve participated in three and am eagerly looking forward to the next one which is around the corner. 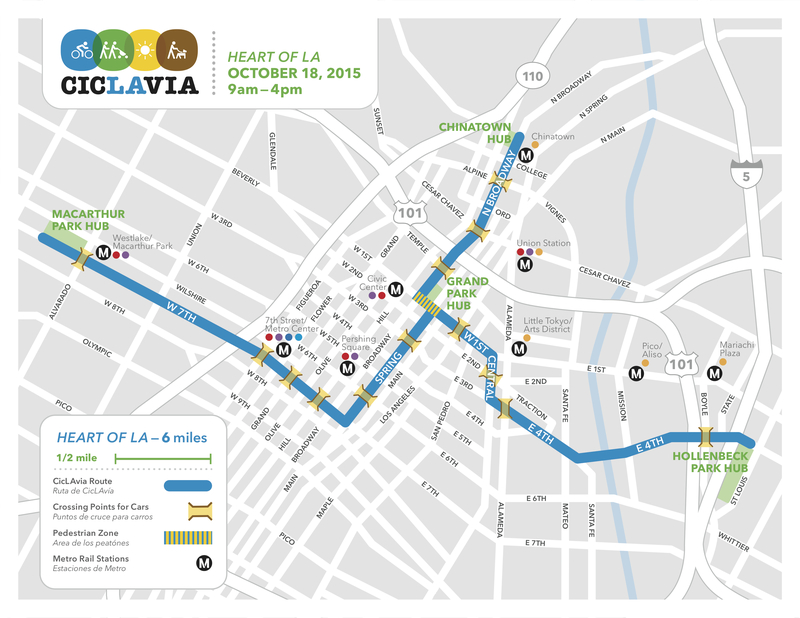 CicLAvia is an opportunity to venture out and explore neighborhoods on streets that are totally closed to traffic. It also provides the perfect playground for another of my favorite activities, geocaching. Bicycling is my preferred way to experience CicLAvia, but you can also participate by foot or in any other non-motorized way. CicLAvias are fun urban adventures in our own backyard with an amazingly diverse group of people from all over the city. The next CicLAvia is on Sunday, October 18, and will take place in downtown LA, in the heart of LA. It will go through many varied and distinct districts: Historic Core, Civic Center, Little Tokyo, the Arts District and as far west as MacArthur Park and east as Boyle Heights. Some of those areas I’ve been to before. For example, at CicLAvia: Iconic Wilshire I rode through MacArthur Park, I’ve taken visiting family to Chinatown, and I’ve been to the Civic Center area for visa and citizenship appointments. But others, such as the Arts District, Historic Core, Little Tokyo, and Boyle Heights, I could hardly place on the map until I looked more closely at downtown LA in preparation for this CicLAvia. I’m putting together a little wishlist of sorts to make sure I don’t miss any fun and unique experiences and sights on the day of the event. As I know from my experiences at previous CicLAvias, the best laid plans often go awry, but planning is half the fun. As of right now, it looks like it will be Sonny and me heading out together on this adventure. He hasn’t quite yet committed to joining me. He wants to know the plan, in particular the start and end time, so this blog post is my way of letting him know exactly what will be on our agenda for the day. And I’ve promised him perks, though exactly what those perks will be I will determine on the day of CicLAvia. My plan is for us to get an early start and ride our bikes from our home to Expo Line’s Culver City stop and take the Metro rail to 7th Street/Metro Center. This will be an adventure for us in and of itself since we’re not big users of public transportation in our city. 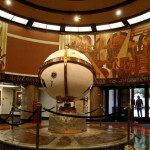 First on my wishlist is to see The Spheres at MacArthur Park. 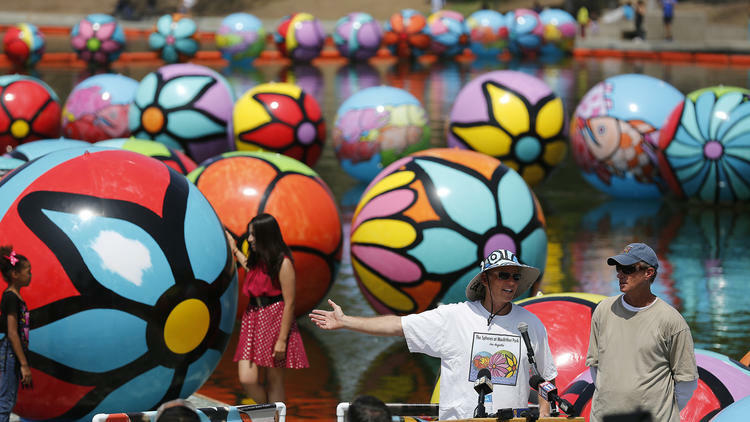 It’s a public art installation of 2,500 large, colorful spheres in the lake. They were installed back in August and the display was extended at the end of September so they would be here for CicLAvia. I wanted to see these spheres when I first read about them, but I didn’t make it out there so I’m very happy they’ll be around for CicLAvia. Next on my wishlist is to see some unique interiors hidden along the route. From the outside, these places may not attract much attention, but inside it seems like they will be truly special. The first two establishments are in the Historic Core. 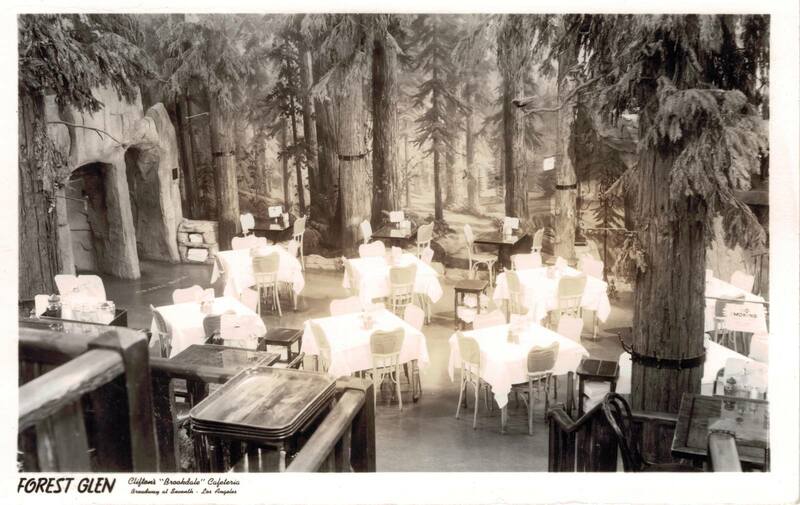 I recently read about the reopening of Clifton’s Brookdale Cafeteria (originally opened in 1935) after a $10 million renovation. According to CicLAvia’s Neighborhood Guide, it’s “an iconic part of downtown and a little slice of kitsch heaven, featuring a full-blown forest inside complete with a waterfall and stream”. 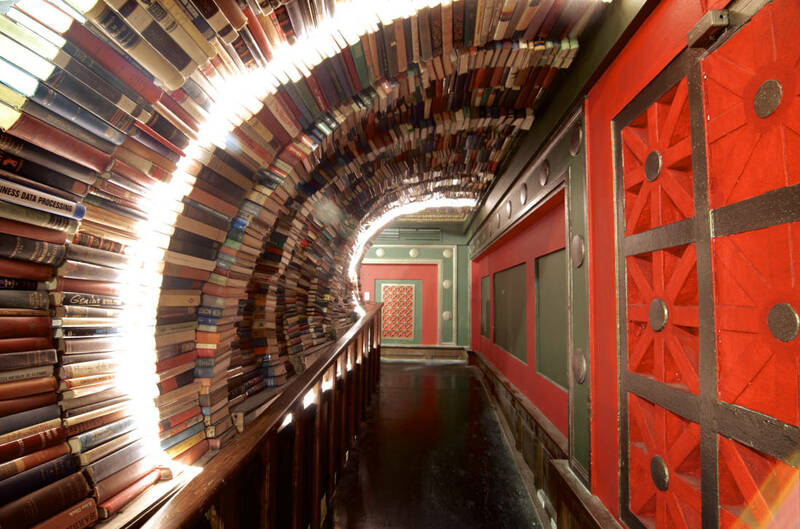 I’ve also heard about and seen cool pictures of The Last Bookstore and actually didn’t realize it was downtown until now. 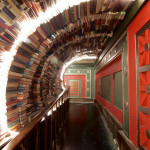 The third interior I wish to view is the Globe Lobby in the LA Times Building. 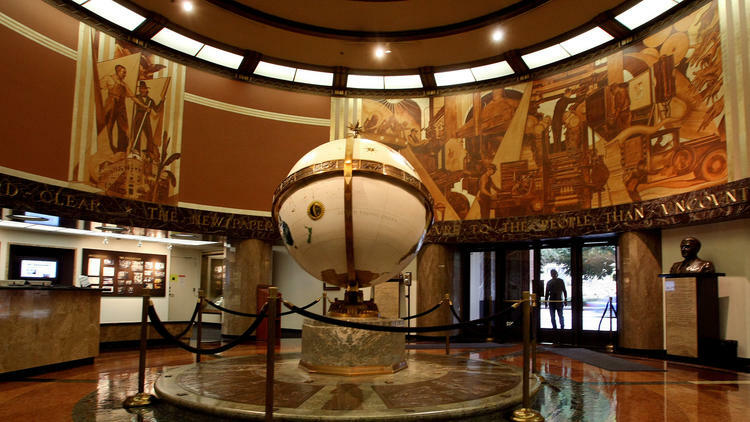 There will be public tours to view the 10-foot-high murals painted in 1934 along with a 5 ½ foot rotating globe and a historical exhibit showcasing the first 100 years of The Times. I’m eager to get a peek at these special interiors with my own eyes. Next I look forward to my first visit to Little Tokyo. There seem to be many landmarks worth visiting, such as 1st Street Historic District, the Go For Broke Memorial, Japanese American National Museum, and many Buddhist temples. 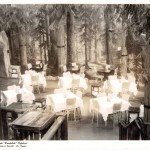 And apparently, there are quite a few wonderful eateries as well. I’m sure Sonny will love some mochi. Following that is the Arts District which is another new area to me. I had to look it up to find its location. I learned it’s an area of formerly abandoned industrial buildings and warehouses that has become popular with young professionals in creative industries. I have two wishes as we cycle through the Arts District: to see the building used as the exterior of the friends’ loft apartment on the TV show New Girl (Binford Building at 836 Traction Avenue) and hopefully see some cool street art along the route. 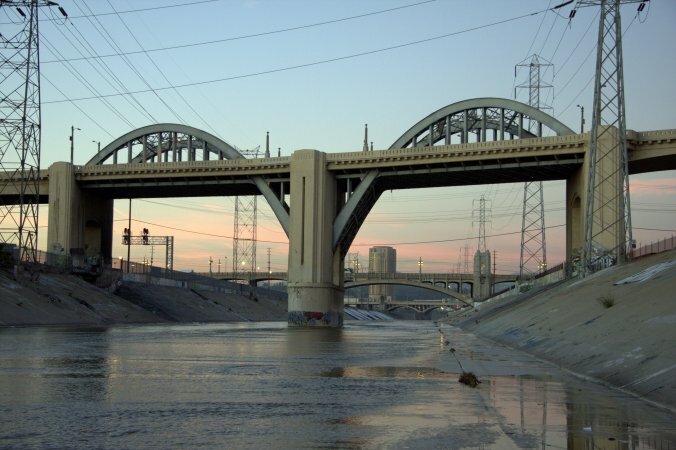 Then it’s time to cycle across the LA River on the 4th Street Bridge. From that bridge we’ll have a view of the 6th Street Viaduct built in 1932. It is one of LA’s iconic landmarks with its “graceful Classical Moderne design and sweeping, riveted steel arches” (CicLAvia’s Neighborhood Guide). Sadly, it is due to be demolished soon because of structural weaknesses and the likelihood of collapse in an earthquake. It will be nice to get a firsthand view of it before it goes. My goal for the day is to make it to Boyle Heights and to check out Hollenbeck Park with its manmade lake. This area is one of CicLAvia’s four hubs so there will be plenty of activities and action. Maybe while we’re there we’ll experience the LA Phil’s VAN Beethoven, a virtual reality performance featuring the opening of Beethoven’s Fifth Symphony performed by the LA Phil and Gustavo Dudamel. Or maybe we’ll create handcrafted paper flowers for use on our bikes at the Dia de los Muertos Paper Flower Workshop. And then there will be the food trucks to nourish us before we begin our journey back to the Metro rail stop where we arrived. During this whole write-up of what I wish to do at CicLAvia, I have not yet mentioned the many opportunities for geocaching! And that is high on my list of things to do as well. I have made a list of all geocaches that are within half a block of the CicLAvia route. There are 15—4 around MacArthur Park, 5 in the Civic Center and Little Tokyo area, 3 east of the LA River, and 3 towards Chinatown. Two of them are virtual geocaches so there’s no physical cache to actually find; we just have to find specific locations and complete the respective requirements. Another is a puzzle geocache, which in this case means we have to figure out and locate the spot from which an old photograph was taken and then find the cache at that location. Of course there are many, many more geocaches in the downtown area, but in an attempt to be realistic and somewhat successful, I’m sticking to the ones that are more or less right along the route. My list can be found here for those interested. 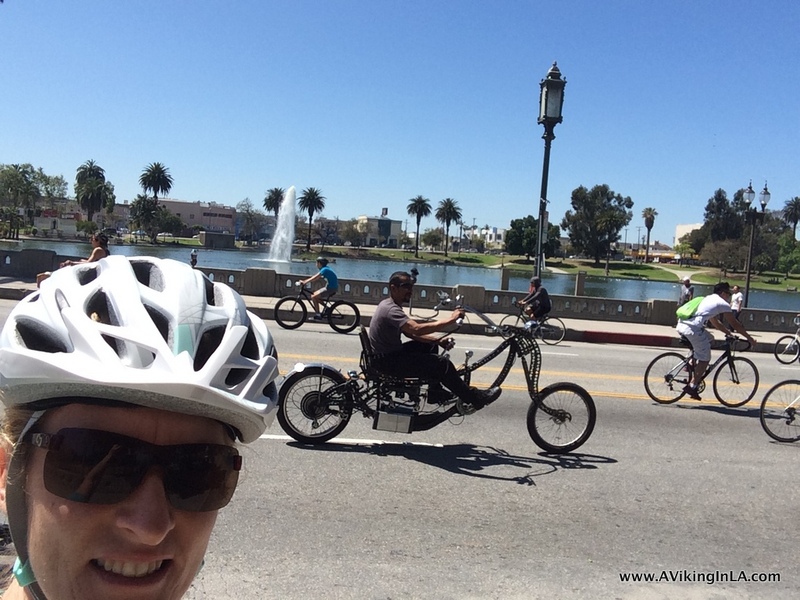 This entry was posted in Los Angeles & Environs and tagged biking, CicLAvia, DTLA, geocaching, Metro by Patricia Zanuck. Bookmark the permalink.